Principia College Sophomore Corey Carter won the NCAA Division III national championship in the men’s 200 meter dash, March 9, in Boston. Carter ran the sprint in 21.52, a school record, and the second school record he set in two days. 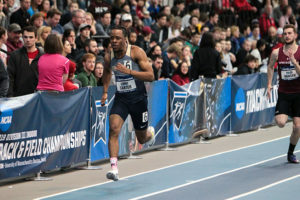 Carter set two records in the 200-meter sprint in the NCAA Division 3 Men’s Indoor Track and Field Championships. Carter has been running sprints since high school and plans to continue training after college. His dream is to run in the Olympic Games. With his art major, Carter says he’d like to design athletic gear. 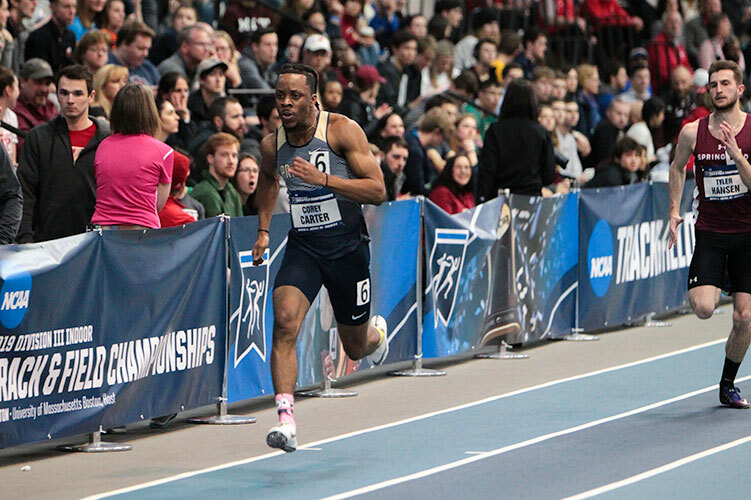 Carter was a first-time competitor in the national indoor finals and earned All-America honors with his win. 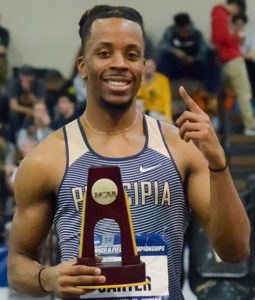 He is now competing in the outdoor track and field season with Principia College team. ACI and its micro-internships partner, Parker Dewey, will host a webinar April 18 to discuss micro-internships, plus their benefits to companies and students. Human resources and talent development personnel in business and industry should plan to join the webinar. The webinar is set for 1 p.m. to 2 p.m. Central Time, April 18. Visit the webinar information webpage to register. Micro-internships are short-term, professional assignments which companies offer to college students. For the companies, these opportunities enhance their campus recruiting, diversity and inclusion, and retention efforts. The webinar will include discussion of how to start a micro-internship program, costs and benefits for companies, and the elements of a good micro-internship. 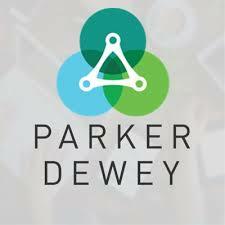 Micro-Internships are facilitated via the Parker Dewey platform, making it easy for companies, schools and students to benefit from the program. Have you seen ACI’s new brochure? 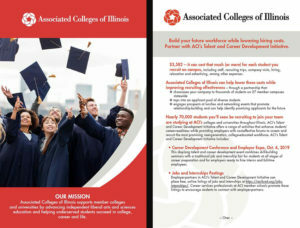 Released in March, the brochure, left, contains information about the organization and its members, and ACI programs and initiatives, such as scholarships, emergency financial aid, peer mentoring and talent and career development. The four-page brochure is available online as a PDF. Printed copies are available at the ACI office in Chicago. In addition, information about ACI’s Talent and Career Development Initiative is contained in a companion piece, right. The piece contains specific information about career development activities in 2019, including the ACI Career Development Conference and Employer Expo, Oct. 4, at North Central College, jobs and internships postings, micro-internships, Work and Life Skills Boot Camps, career mentoring and ACI’s statewide career professionals network. Also available online as a PDF, printed copies are available at the ACI office.